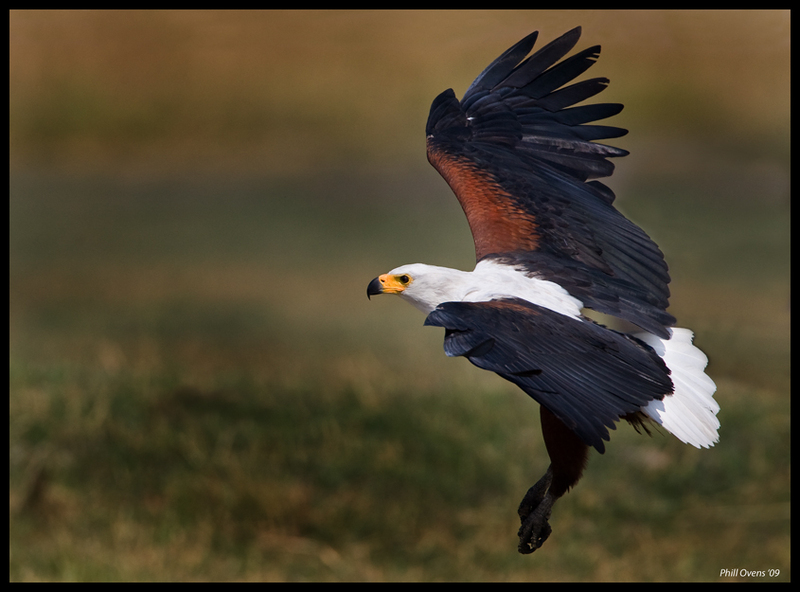 At Sibuya Game Reserve, we are very blessed with our prolific birdlife! 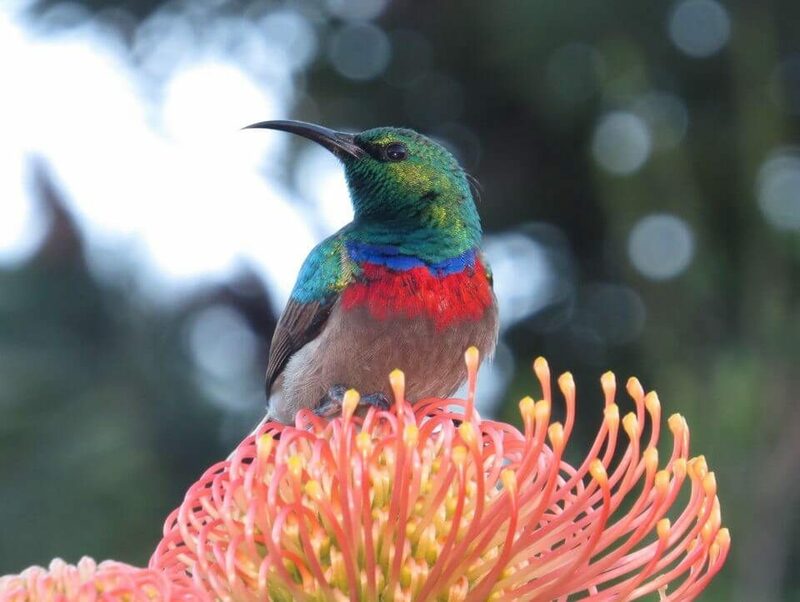 With nearly 400 bird species calling our reserve in the Eastern Cape home, we are privileged to have some of South Africa’s Top 10 Birds visiting us here during the year. 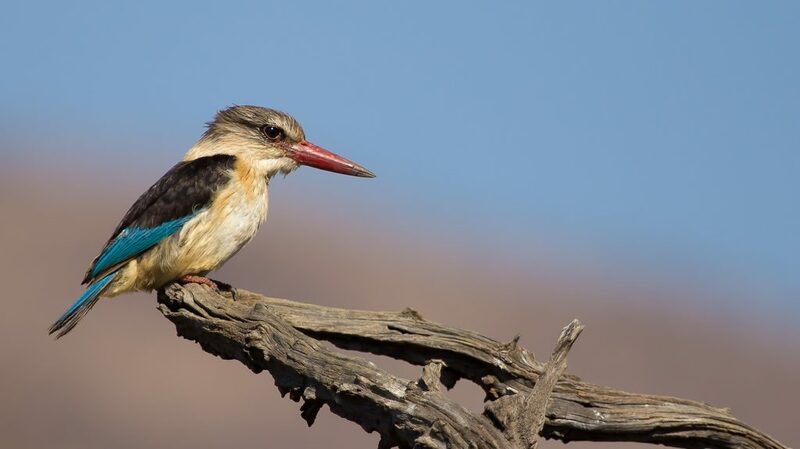 After Mark Anderson, CEO of Birdlife South Africa a respected ornithologist, and passionate bird and wildlife photographer and a conservationist announced his ‘top 10 must-see birds in South Africa’ we decided we should have a list for you too. 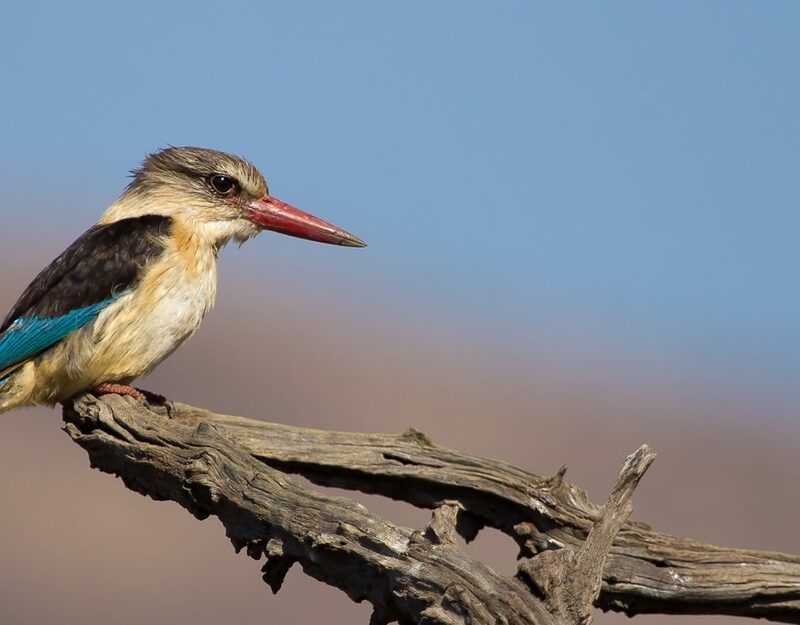 So here are our top 10 must see birds when visiting Sibuya Game Reserve in the Eastern Cape. This large Palaearctic migrant (From Northern Europe) visits Sibuya Game Reserve around September to May for a nice summer holiday. They love hanging out around rivers, estuaries and dams, so Sibuya is a prime destination for them to come and visit. 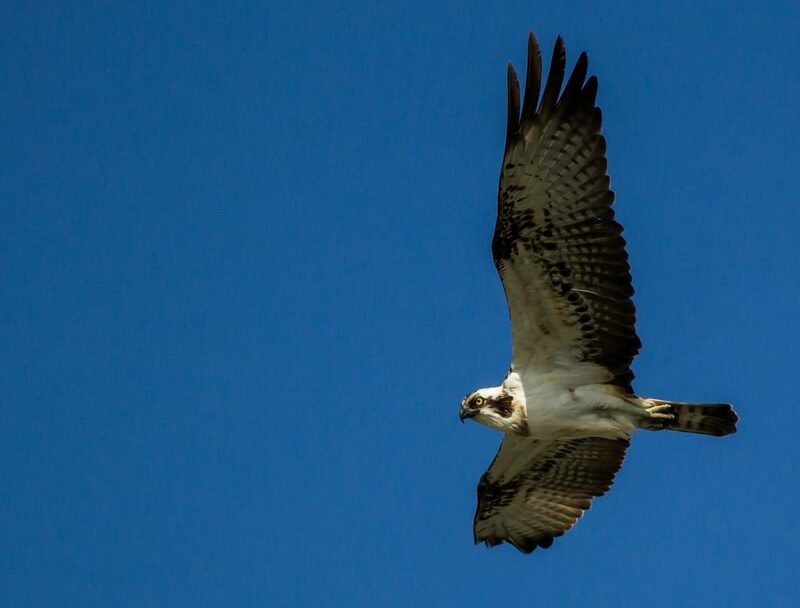 We have recorded several Western Osprey on the Kariega River before and some of our staff have had the opportunity to see them catching their prey – which is quite a majestic sight to watch. Osprey are nearly entirely fish eaters, unlike its counterpart the African Fish Eagle, who has been known to take a wide range of prey from water birds and even small mammals. Try and spot them when on the boat cruise along the winding river as you arrive at Sibuya. It’s quite a way to begin your stay with us! The iconic call of Africa echo’s down the river as our resident breeding pair head off for a morning hunt. They pair for life and have been recorded living for up to 40 years! These impressive birds, with a wingspan of 2 – 2.4m, dominate the river and have been known to bully other birds out of their hard-earned meals. 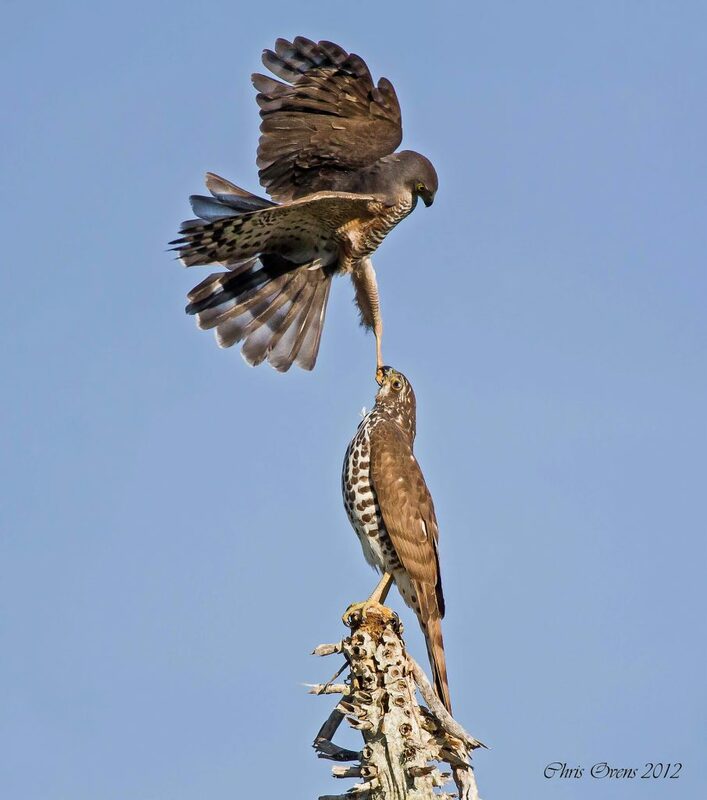 Although cheeky, it’s fairly common in birds of prey and this process is known as kleptoparasitism. Saying that, they are just as good at hunting themselves catching fish over 2kg is size or even taking large water fowl and small mammals home for dinner. Juveniles are slow developers and only obtain sexual maturity at 4 – 5 years of age when they get their true colours, their voice also breaks as they stop sounding like a squeaky toy and become that famous ‘the voice of the river’. 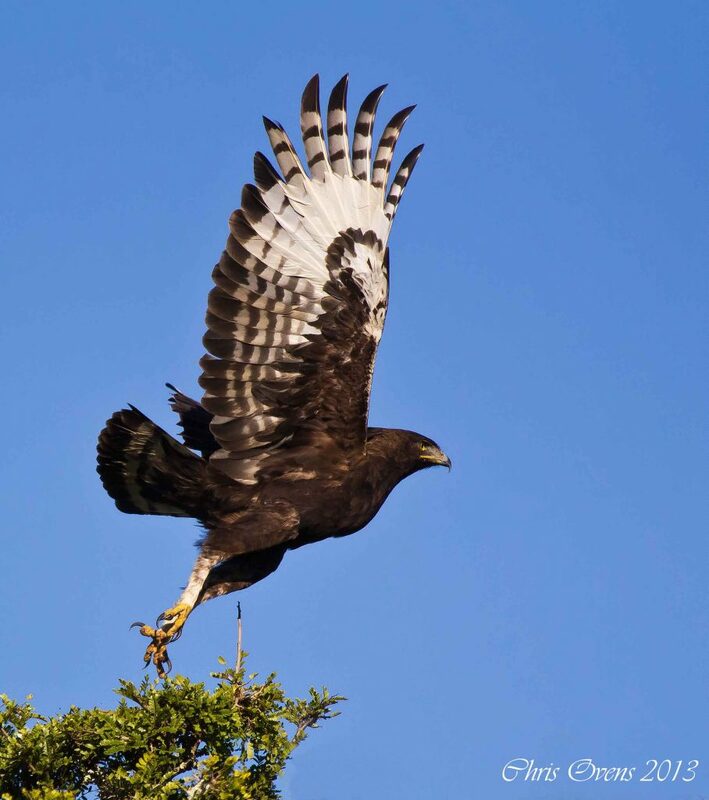 Be sure to keep an eye on while enjoying a coffee at Fish Eagle Deck on your morning game drive. These small fighter pilots (they are only are a 17 – 27cm big!) thrill watching hunt along the walkways and forest roads to the lodges! So, keep a look out during mornings and lunch time while walking around camp. They are really territorial which means we will usually see the same bird in an area for a season. Their agility and precision gives them a 70% success rate in hunting small birds (doves and sparrows), lizards and even bats – which is an incredible sight to watch if you ever get the chance. This stealthy hunter can stand dead-still on the edge of the river, waiting for a large fish to come to close. With a quick lung and straightening of the neck – dinner is served! Did you know, Goliath Herons are able to swallow a fish up to 1kg in weight? These herons are often robbed of their meal by the quick and stealthy Africa Fish Eagle. This fight is always amazing to watch, if you are ever given the chance, as both birds with 2m plus wingspans fight over the herons hard earned meal. 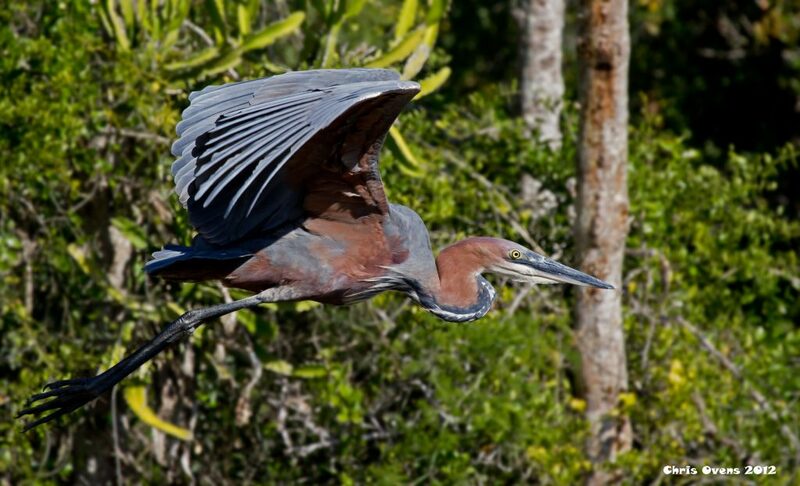 We have a resident Goliath Heron, which the rangers affectionately call Gary, who can be a great attraction for guests on Sibuya’s amazing boat cruises. Have you ever seen one of these beautiful birds before? This threatened Half-collared Kingfisher species relies on vegetation over hanging water to sniper its prey. The valley thicket vegetation that comes right down onto the estuary and the forested stream making Sibuya a paradise for this bird with several breeding pairs found here. A fact we find that guests love is that unlike most birds, Kingfishers have round eggs to save space as most breed in holes in banks space is tight. Interesting, hey? Keep a look out when around the river banks. We will do our best to pint these beautiful birds out to you when we see one. 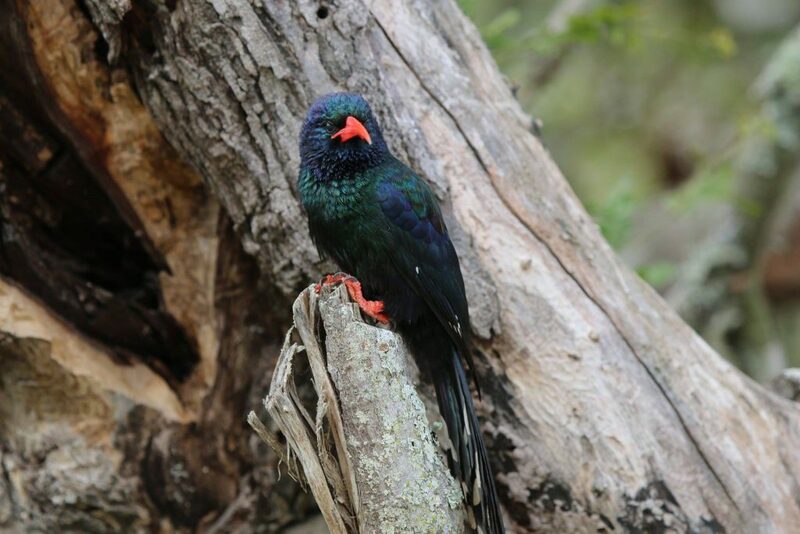 Tis magnificently green bird can be seen all year round at Sibuya, contrary to its name suggesting it is only found in Knysna. 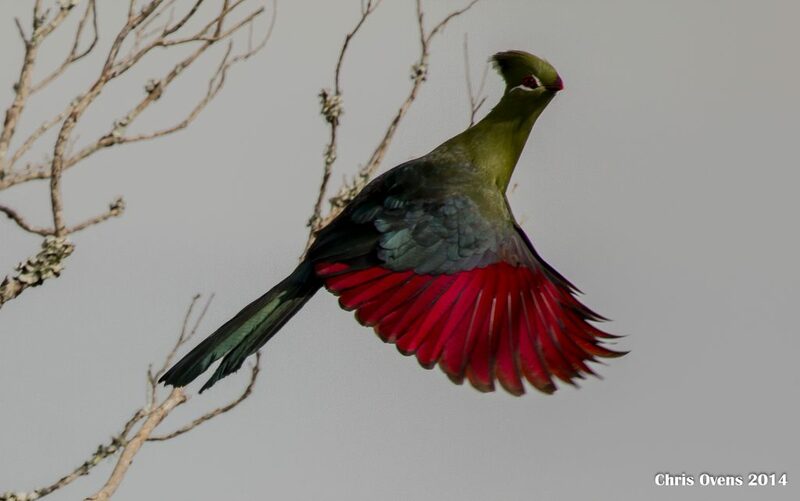 Did you know that the family of birds was recently renamed from ‘Louries’ to ‘Turaco’ due to the brilliant turacoverdin and turacin pigment that give the feathers their bright green and red colours. 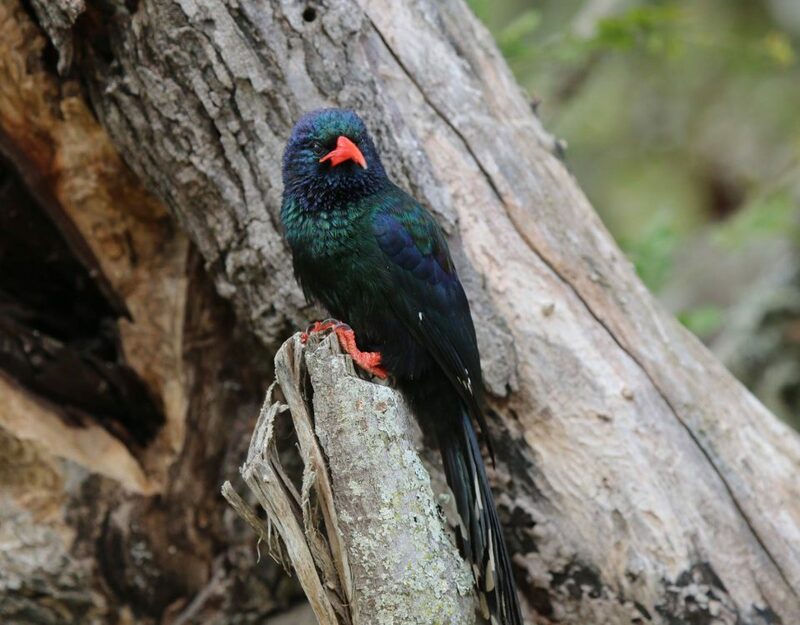 This beautiful bird can often be seen hopping around the fruiting trees at the lodges or coming to the birdbath for a drink in River Camp. There’s an old African story about how, when they were created, they were first in line for their colours but last in line for their call. 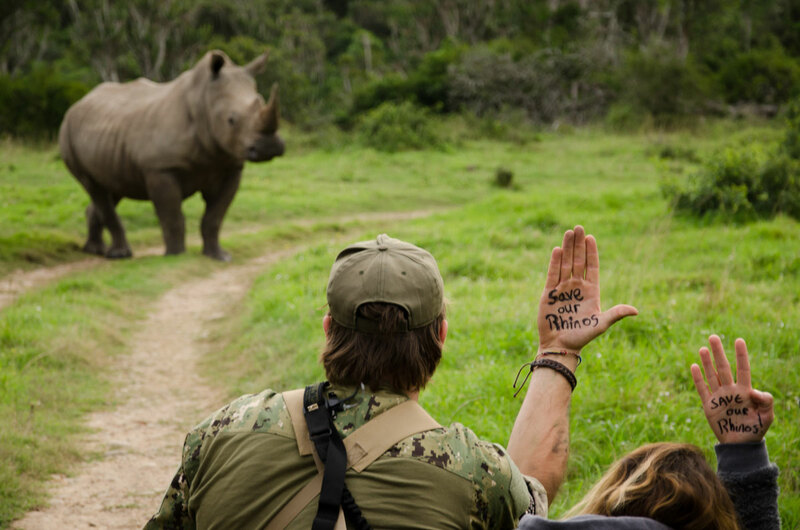 Their call, loud and proud, can be distinctively heard from kilometers away and has been likened to a coughing sound. The beauty of this bird is in it’s name – the long crest. Their unusually long feathers at the crown of their heads blows in the wind, making this a very easily identifiable bird when perched. They sit proud over-looking open areas on the forest fringes. Feeding on small mammals and reptiles which they swoop on from a perch gives them a brilliant silhouette against the setting rising sun. This has to be one of the most requested birds we have at Sibuya Game Reserve. 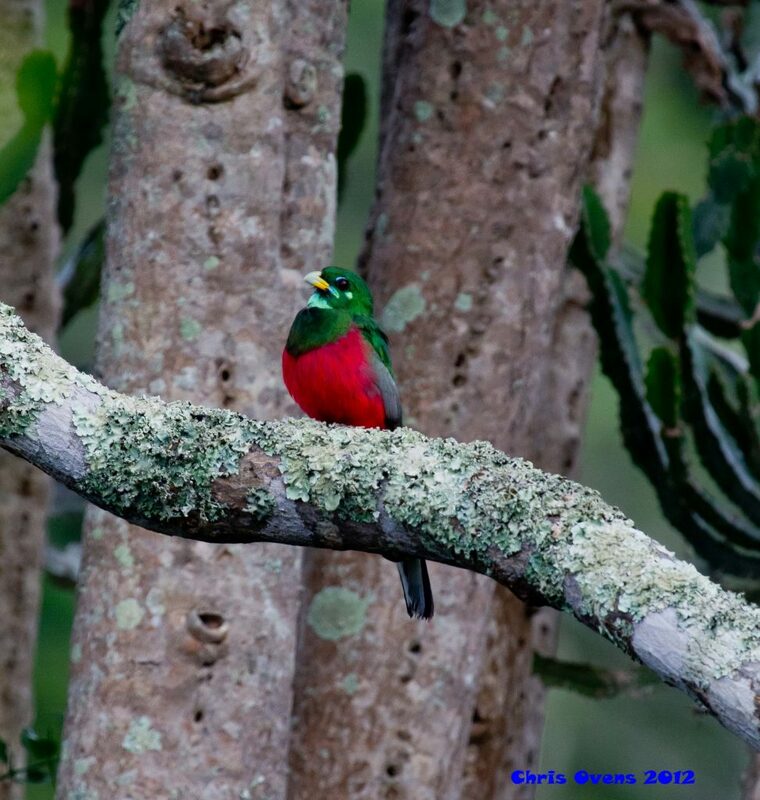 The Narina Trogan is an incredible bird to add to your list while you are visiting us. These striking yet secretive birds are often heard but not seen, as they live in the thick canopy in the thickets and forest around Sibuya. Keep your eyes peeled as, unless they are sitting facing you, they are incredible difficult to see as they are so camouflaged. However, a morning walk to Bush Lodge waterfall normal yields a glimpse if you are lucky. This is the second kingfisher to make our ‘must see’ list! 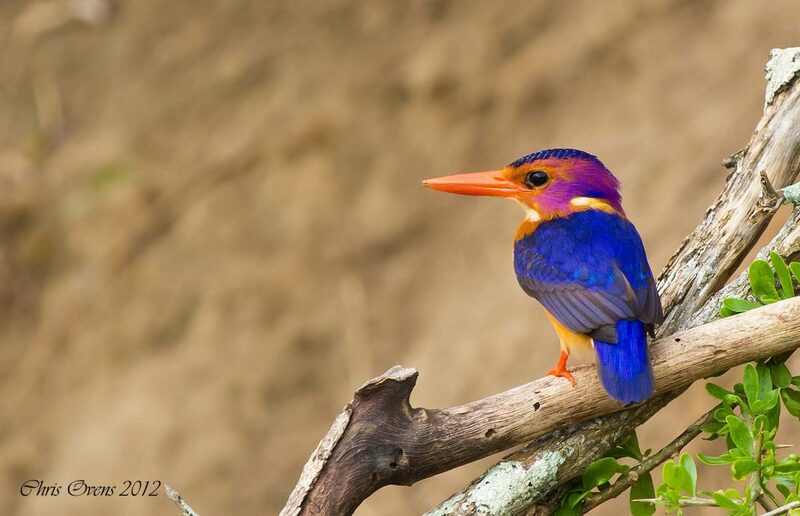 Being the smallest kingfisher in Southern Africa, this beautiful little bird sits at 12 – 13cm tall. 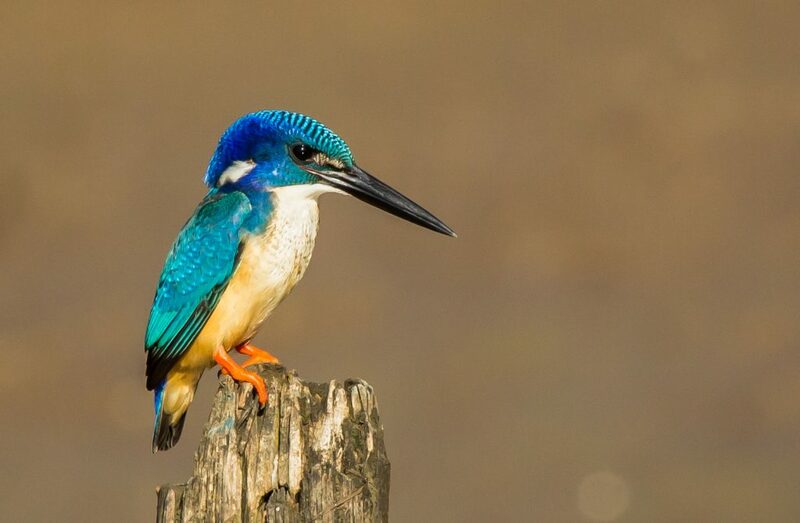 This “kingfisher” has missed the point of it’s namesake, as it feeds mostly on insect and small reptiles! 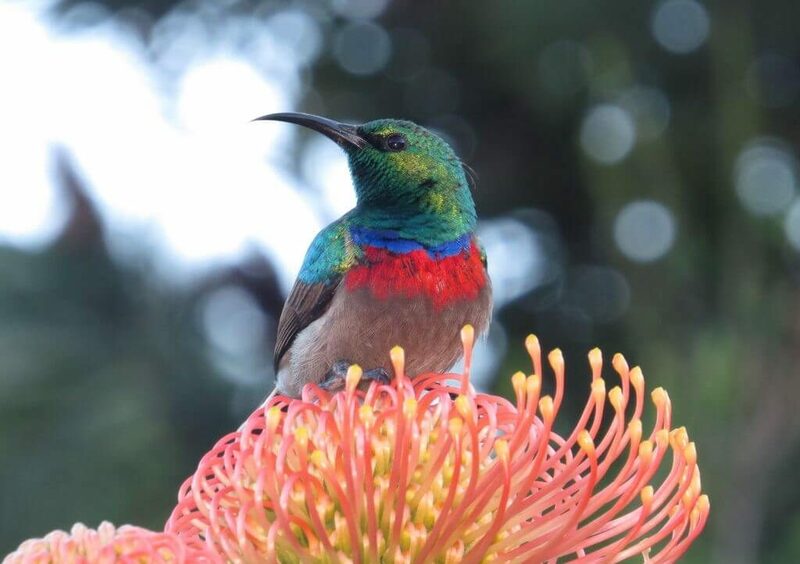 These birds are central African migrants and join us at Sibuya for the summer insect explosion. Nesting in holes in river banks or even the sides of an abandoned Aardvark hole, they can be seen feeding their chicks a high protein diet that allows the chicks to fledge in 18 days from hatching. 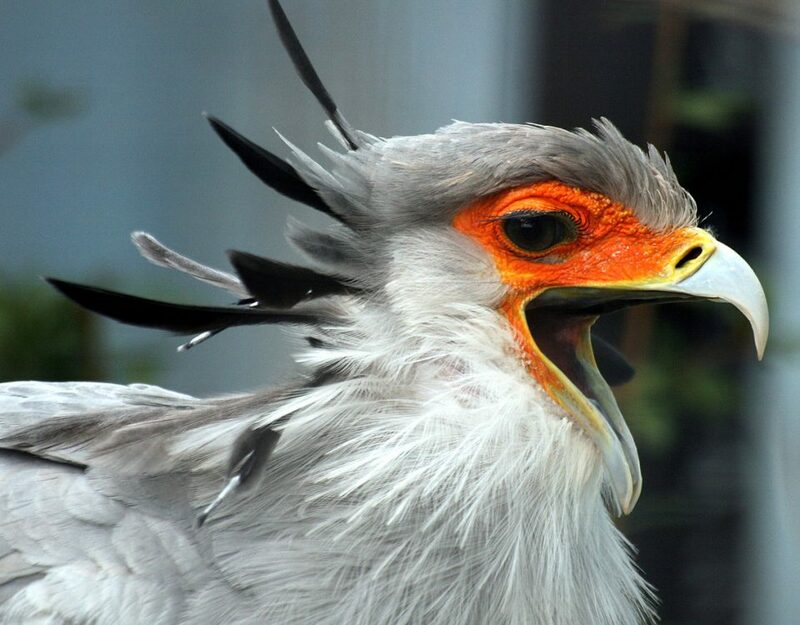 It’s said that this bird has been named after a ‘secretary’ because of a few factors. Back when the Europeans arrived in Africa, these birds resembled the male secretaries of the time – with their long tail coats and the feathers on the birds head look like the goose-quills pens secretaries would put behind their ears. 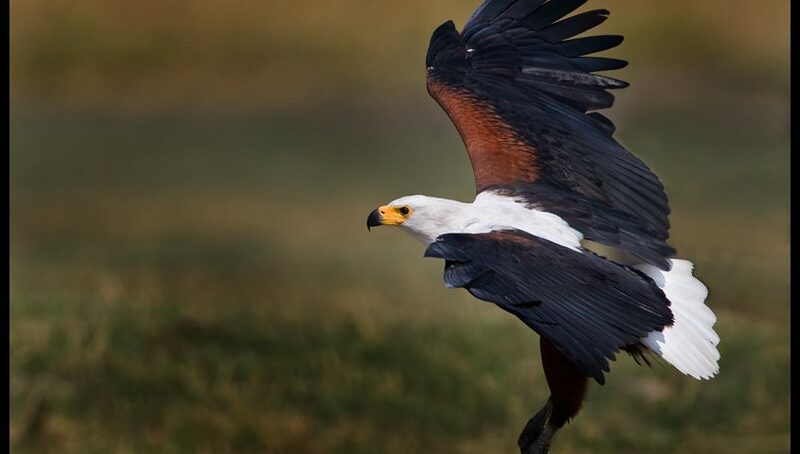 A fun fact about this bird is that they have the longest tail of any South African bird species reaching up to 75cm long! They stride along the Sibuya plains looking for snakes and small mammals, but a grass hopper wouldn’t be turned down either. With pin point accuracy, they kick their prey to death, which is a great spectacle to watch, especially when they come across a Cape Cobra. 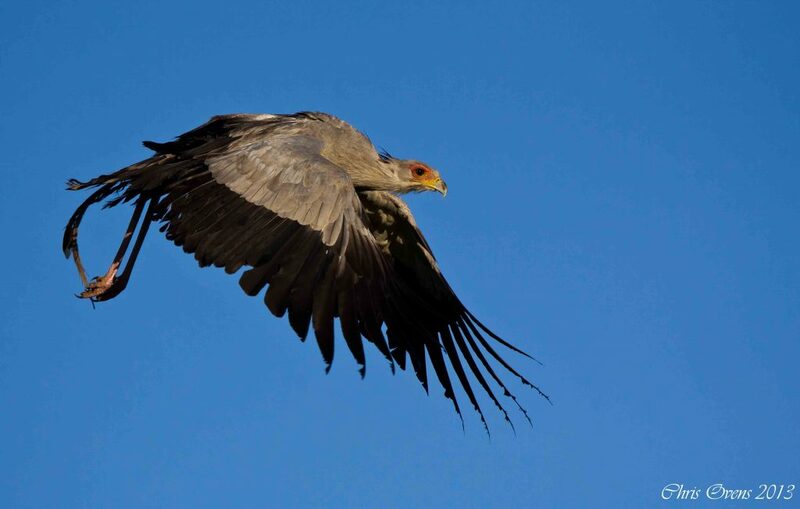 Keep a look out for these incredible birds when staying at Sibuya Game Reserve. Don’t forget to let your guide know that you’re an avid birder, or if you have any other interests. We’d love to make your experience memorable. So, see you soon!